Join free & follow Fredi Inglish F.I.O.C.C.O. 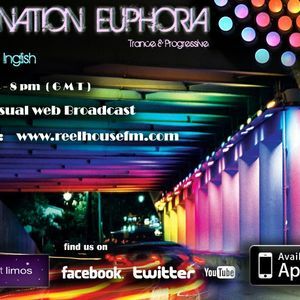 Destination Euphoria Radio show 024by Fredi Inglish F.I.O.C.C.O. Track of the week this Episode was "Akesson - Perfect Blue (Solar Movement Bangin Mix) [ASOT] Armada// An emotional track with A solid rolling baseline and some acid type synths, the breakdown holds the Synths with an angelic vocal before rising Synths perform an energetic melody and drop that will leave a crowd thirsty for more. This weeks Double Impact feature is from John O&apos;Callaghan including a classic remix and an "Original new tune. To finish the show a 1 Hour Harder Trance mix featuring some Bootlegs and Mash Ups ... //... ENJOYYY!!! More from Fredi Inglish F.I.O.C.C.O.